Lightweight — just over 5½ lbs! Best of Both Worlds: In airports, nothing beats the convenience of wide-tracking wheels (13 inches apart) and a telescoping handle. 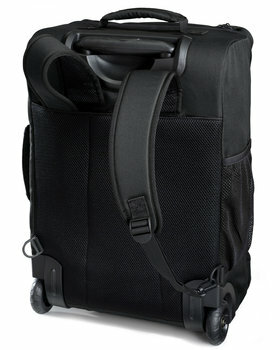 When it makes more sense to have your bag on your back with both hands free (bumpy streets, stairways, trains) — pull out the hidden backpack straps, and away you go. 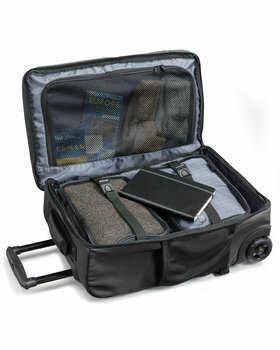 Carry On with Confidence: It easily fits in the smaller overhead bins common to European airlines. 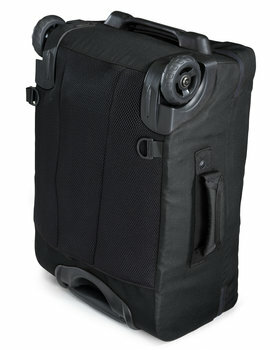 Note: Because of its flexible structure, this bag won't reach its full height and depth until it's packed. 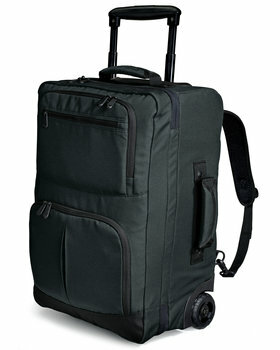 Don't be alarmed if, at first glance, your Rolling Backpack looks "too small!" 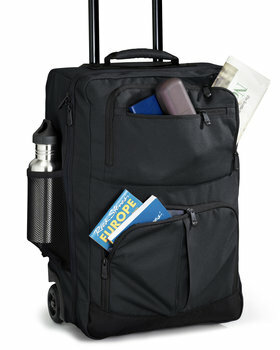 Outside: The classic Rick Steves outer pocket design combine gives it a clean, efficient look. 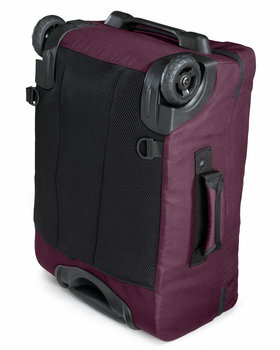 The top zipper opens to reveal a 12" x 20" compartment (perfect for a jacket). Two additional front pockets (large and small), a mesh bottle pocket, and a pair of grab handles complete the outside. Inside: The generous main compartment includes adjustable compression straps, a clip-in document pouch with two mesh drawstring bags, and a full-length zippered mesh lid compartment. Colors: Available in black, graphite, blue spruce, and plum. 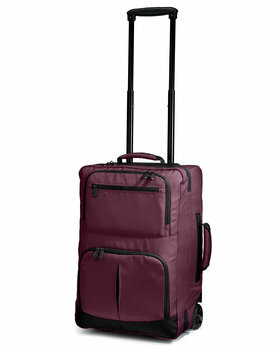 Your Choice: Our Rolling Carry-On is also sized to be European-carrier friendly — and it expands. Sorry, EXPRESS shipping not available for this item. Every Rick Steves travel product comes with our guarantee that it will be free from material and manufacturing defects for the life of the product. If a defect appears, we will either repair or replace the product (at our option) free of charge. This guarantee does not cover damage caused by an airline or other common carrier. Nor does it cover wear and tear to components and materials which may occur over time with use of the product.